For the average desktop Linux user, most of the user experience will be determined more by the desktop environment than by the distribution. Because most of the distributions offer most of the same desktop environments, there will be little difference using, for example, Gnome 3 on Fedora versus using Gnome 3 on Ubuntu. That's why I tend to choose the distribution based more on how well my hardware likes it than anything else. The desktop environments are basically the same regardless of the distribution. A great deal of a desktop environment's appeal is subjective: Some people just prefer the "feel" of one over the others. So try several, or try them all if you like. There is no one DE that's "best" for everyone or every purpose. Let's spend a few moments looking at the various desktop environments. Please note that the screen shots are not immutable. All of the De's can be customized by the user to varying degrees in terms of colors, background images, effects, and to some extend, layout. Cinnamon is a polished, intuitive desktop environment that was first developed as the default desktop for Linux Mint. It started out as a fork of Gnome 3, but it is now an independent project maintained mainly by Linux Mint (although it's available for most other distributions). If you're considering moving to Linux from Windows and need a computer on which you can start doing productive work immediately, Cinnamon would be an excellent choice of desktop environment. Like Linux Mint itself, Cinnamon was designed to look and feel enough like Windows to be intuitive for users familiar with that desktop. Cinnamon also enjoys the benefit of having a large and thriving development community, largely because of the popularity of the Linux Mint distribution, for which it was designed. Updates are frequent and bugs tend to be stomped pretty quickly. Another thing that Windows users will appreciate is that Cinnamon includes GUI-based applications to adjust most system settings. If you're moving to Linux from Windows and want a system that looks and feels as much as possible like Windows, Linux Mint with the Cinnamon desktop is probably the way you want to go. 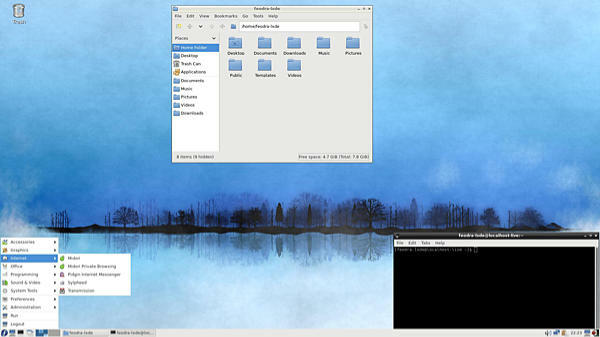 KDE is actually a collection of applications, in addition to the desktop itself. It was one of the first desktop environments for Linux and other Unix-like systems, and it's still very popular. 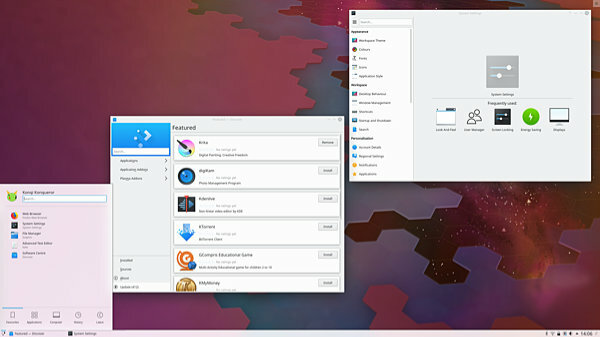 This screen shot is of the KDE Plasma 5.15 release. One of the things I like about KDE is that it includes many customization tools that allow practically everything about the desktop to be adjusted to the user's needs and liking. It's also very polished as Linux desktops go. On the other hand, my experience has also been that because KDE strive for innovation more than most other De's do, and because it is more customizable, occasionally some buggy code slips through. All that ability to customize also creates more opportunities for conflicts. Like Cinnamon, KDE is similar enough to Windows that new Linux users migrating over from Windows should find it very intuitive. It would be another excellent choice for new Linux users who aren't so much interested in "learning Linux" as they are in having a computer with which they can immediately start doing productive work with a very shallow learning curve. At the time of this revision, Gnome 3 is the current version of the Gnome Desktop, a project heavily supported by Red Hat, among others. 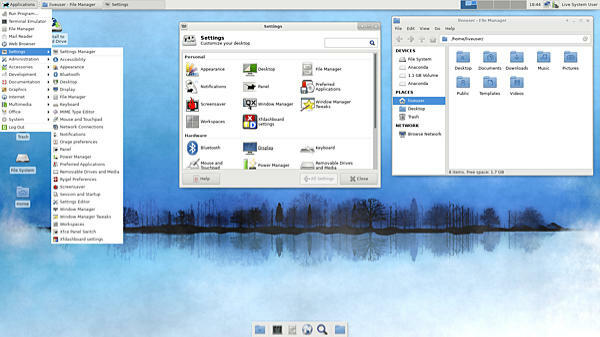 It is the default desktop environment for many Linux distributions. Gnome 3 is very polished and includes many applications for both productivity and configuration. Most users should be able to do anything they need to with a default Gnome installation. It's also very stable. Because of its huge user base and its considerable corporate (as well as volunteer) support, bugs tend to be stomped pretty quickly. On the down side, Gnome 3 is somewhat less configurable than most other De's. It also lacks a system tray, so applications that depend on one (such as HP Linux Imaging and Printing) simply won't start. It's also one of the more resource-heavy of the Linux desktop environments; so if you're using an older or underpowered computer, Gnome 3 may not be your best choice. 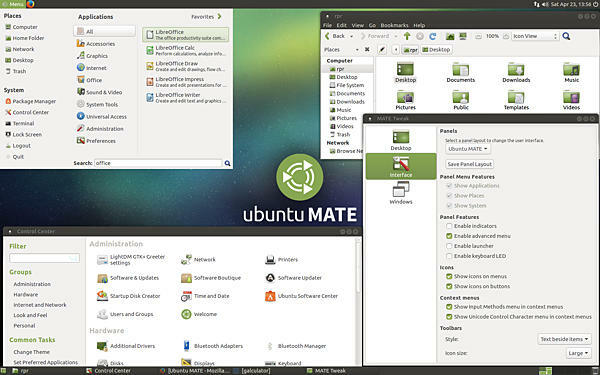 The Mate desktop (officially pronounced ma-tay after a caffeine-containing plant that grows in South America) is a continuation of the Gnome 2 desktop environment, which is no longer supported by Gnome. In a nutshell, Mate exists because many users of Gnome 2 didn't like Gnome 3; so they decided to pick up maintenance and development of what had been Gnome 2 where Gnome left off and renamed it Mate. 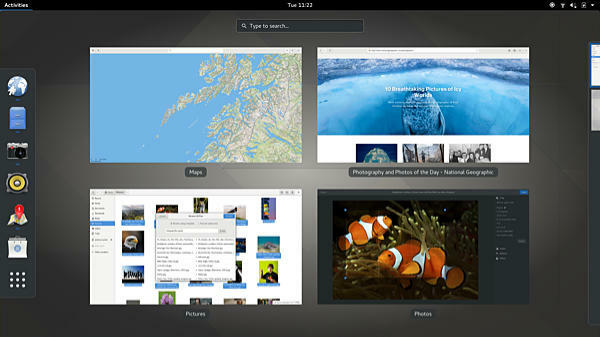 Mate has a more traditional appearance and layout than Gnome 3. It's also much lighter in terms of resource use and is more customizable. The user base is also large enough to support a very active development community. The only downside to Mate, in my opinion, is that because it's no longer officially supported by the Gnome project, newer Gnome applications may or may not play nicely with it. How much that matters is a matter of whether or not you need those applications. Mate has a huge collection of its own that work just fine, so it may not matter at all. LXDE stands for Lightweight X11 Desktop Environment. As its name implies, it is designed to use as little in the way of system resources as possible. That makes for a rather plain and simple interface, but also a very fast one that will run even on old or severely-underpowered hardware. It's available for nearly all Linux distributions. Newer, more powerful computers can also benefit from LXDE. It's a great choice if you don't want or need the prettiest desktop on the block and prefer that your computer spend its resources doing productive work. On a more modern computer with a recent processor, an SSD, and a decent amount of RAM, LXDE is so fast that you have to be careful not to hurt yourself. LXDE is unusual in that it uses a modular design. You install only those features that you need. In its default state, LXDE has few bells or whistles. It has a very sparse interface and a "quiet" personality that won't get in the way of your work. You can, however, jazz it up a bit if you like. Sleek and fast doesn't necessarily have to be boring. 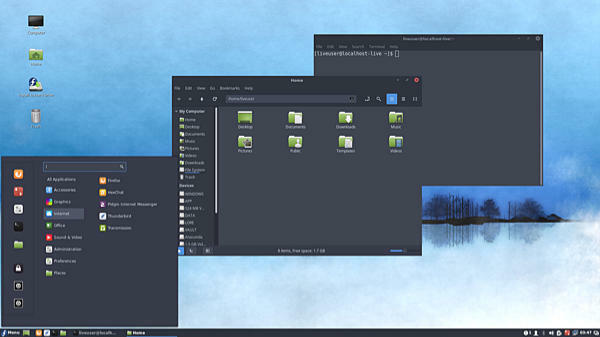 Xfce is another fast, lightweight, modular desktop environment that seeks minimal resource use, while placing a bit more emphasis on visual appeal than LXDE does. It's sometimes referred to as the Lazarus of Linux De's because it's been thought to be dead so many times, only to suddenly announce a major new version. Although Xfce is usually recommended as a good desktop environment for old and underpowered computers (which it is), I personally think it shines brightest on a well-endowed machine used for resource-hungry applications like gaming, video editing, CAD/CAM, or scientific number-crunching. It uses few resources and rarely conflicts with applications, but it's not so plain and ugly that you think you're using Windows 95. In short, I like Xfce because it's lightweight, well-behaved, and trouble-free. It's also slightly prettier than LXDE. But it does suffer from relatively infrequent and irregular major updates, so it is a rather dated-looking interface. It also doesn't come with many applications. But for a older machine with limited resources, or a newer machine that runs applications that require a lot of heavy lifting, I think Xfce is an excellent choice.